It's looking very good Dave. My complements on the sepia cards. Here's a closer look at the card types. Your mercenaries do all of your dirty work. Each has a unique set of capabilities and limitations. Your objective is to gradually assemble a crew of 4 agents -- mercenaries who work for you exclusively -- over the course of several encounters and contracts. Then you can run a final contract and retire from this cutthroat business... until the next game. hello everyone, i am just a newcomer from Hong Kong. i have just found this cardgame in BGG recently. i know this cardgame is going to be in store, but i really like the ideal and theme of it. 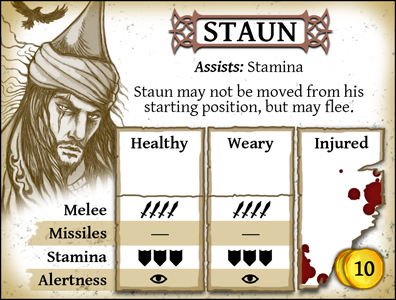 Could anyone be so kind of you to share the playtest files to me? it doesn't matter if it is not the latest version. I'll be releasing a new playtest version in the next day or two. Hey Dave, have you looked at Drivethrucards yet? OBS's expansion into a strictly card-game store with POD services. It looks good, but I wouldn't want to assemble it myself. With most card games I'd rather buy a pre-printed product. DriveThru will be doing poker-sized cards, which is great. But they won't be doing mini cards right away, and I need those for this game. So I'll be looking at other alternatives. 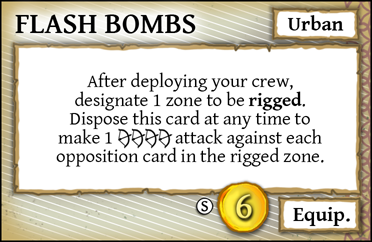 So as with any playtest, there are probably errors in the rules, on the cards, and weird card interactions that I didn't anticipate. Help me find them and fix them! Time to dust off the 2-player ("rivalry") rules and see how the new stuff fits. I'm reading the rules today. I'll give you some feedback in a couple of days. Here's mine very, but very first impression regarding general look/style (manual related) - I'm not sure about one particular font used in manual - the one used in mid-tittles (vide black color "PLAYTEST VERSION 2.2" on 1st page"). It might be very subjective, but for me it somehow reminds "Wild West" or "Western" type font - which I'm not sure if correspondent with game's lore/character - judging just on arts it's more Mid-East, kinda desert scenery/character (without reading so sorry If I'm mistaken!!! . Actually it's strange because the same font but smaller and in sepia color looks OK for me...? Don't know, perhaps it's not because it's bigger but black so it contrasted too much and kinda stress the "western" feeling? Anyway during looking through manual (which besides looks very nice and gives very user-friendly first impression!) I've got constantly this feeling of lack of cohesion. 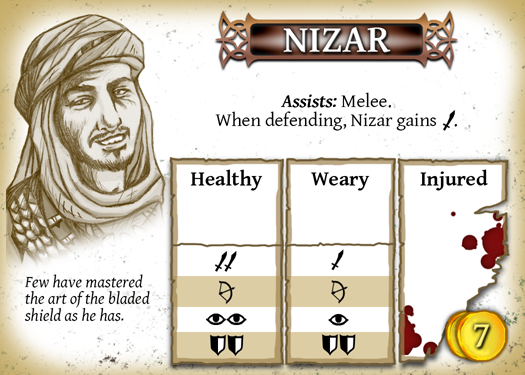 Mesper, that actually is a "western" font, but it looked close enough to weird-Arabian that I'm using it in the playtest PDF. I didn't spend a lot of time looking for title fonts. I just grabbed the first one that worked. 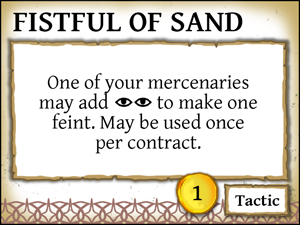 It isn't a proper font file, and I don't have commercial rights to it, so I won't be using it in the final rulebook. 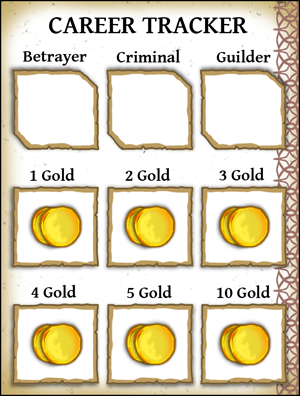 You will not need card backs to playtest the game, so I didn't include them. The career deck and opposition deck should be placed face down. Because the career deck and opposition deck are composed of different sized cards, it will be easy to tell these decks apart. The other card decks can be face up during play. ok , i get it. 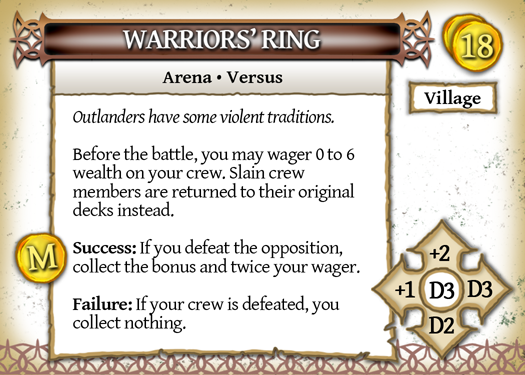 Rivalry playtest cards are up. Things move pretty fast around here. I'm working on version 3.0 now. 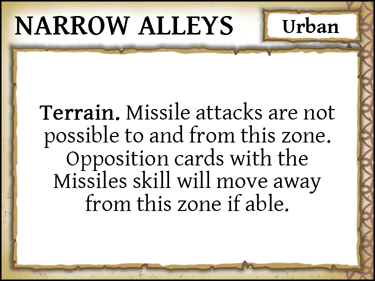 An old idea has returned: Opposition cards are now linked to locations, carrying the Any, City, Outland (Village and Town), and new Urban (Town and City) keywords. 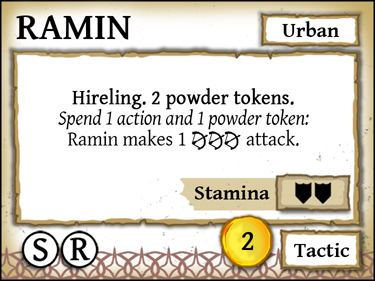 When you start the game in the Village, you'll set aside all of the Urban and City contracts from the opposition deck. When you move to the Town, you'll add all of the Urban opposition cards. 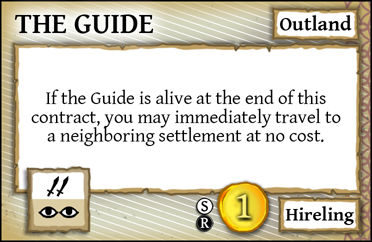 When you move to the City, you'll remove the Outland opposition cards and add in the City opposition cards. I'm hoping this isn't too much of a hassle, because it's going to add a lot of cool stuff to the game. 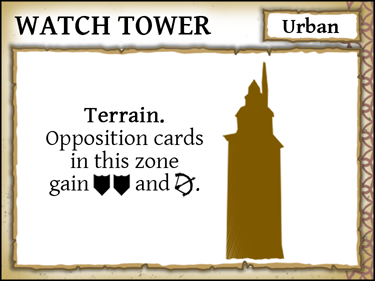 One of the big additions are terrain cards. 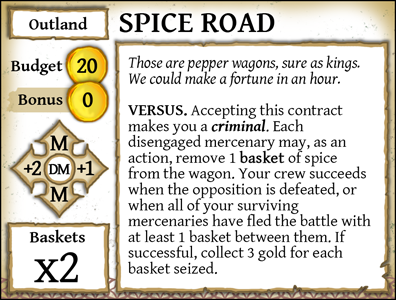 For these, I've changed Jackal Traps and the Fire Wall into "terrain" cards, instead of "trap" cards. These cards still belong in the opposition deck. 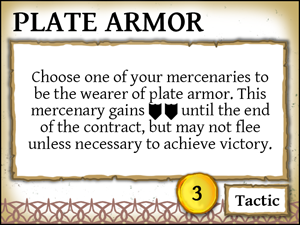 Terrain cards can modify the way mercenaries or opposition cards move around the battle, or help or hurt the mercenaries in various ways. 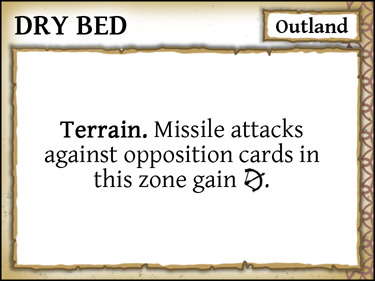 Terrain cards have keywords like other opposition cards (Any, Outland, Urban, City) so they can be themed according to the location of the contract. 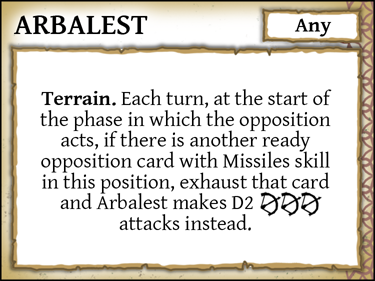 Lots of possibilities there, and I've written up several terrain cards and am looking forward to testing them out. Ah, here's an idea. Instead of sorting out the opposition cards before each contract, just shuffle all of them as usual. When you reveal an opposition card, check its keyword. If it doesn't match your current location, immediately discard it. That's not painful at all, and consistent with the way you pick up and discard contracts and encounters anyway. You first check keyword, and discard if ineligible. Easy. One big happy opposition deck. 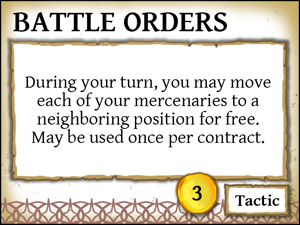 I'll have to adjust the number of opposition cards on each contract -- that is, increase the number of opposition cards a little bit. But I've been meaning to do that anyway. ...this all seems great, but you're faster than me. Should i play it as it is my downloaded copy or wait until you have the new version to playtest? 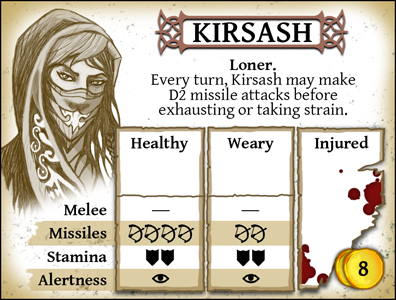 To save some printing, what about a Vassal module? i could build a very basic (i mean, no rules-enforcement, no automations) in short time, just to try the game without printing it. 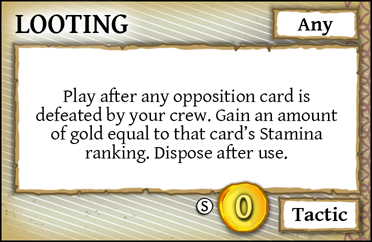 We could then add/remove as many card you like and send to the playtester the new module along with the rules. I don't know what to say about Vassal yet. Probably yes, but I want to think about it for a little while. I'd just add that it is not necessary to make it public. 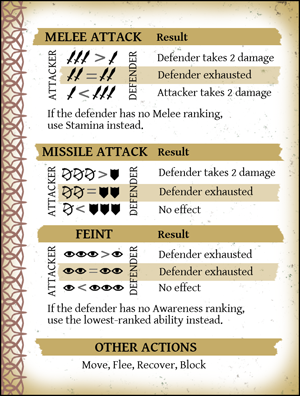 It should be just a play helper for tester until the final version of the game, so perhaps also un-actractive, text-only, dry-like-a-camel-a$$ looking module . 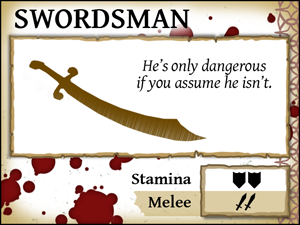 Some swords-for-hire are so green or desperate that they will work for next to nothing, but they have no lasting loyalty. 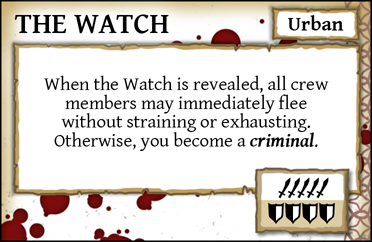 Hirelings are treated as crew members, but do not count as mercenaries. They are not counted when finding the value for M, DM, contract bonuses and so on. 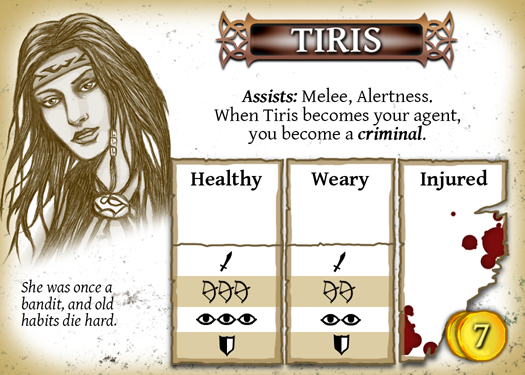 Most hirelings have limited abilities. 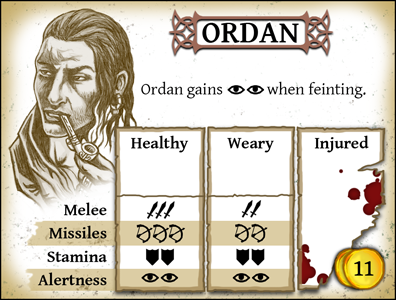 If you do not see a listing for Melee, Missiles or Alertness, the hireling has no ranking in that skill and may not make any actions associated with it. 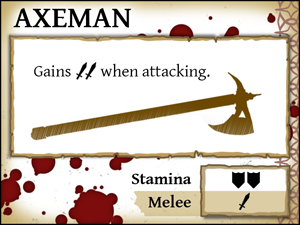 That is, if no Melee ranking is present, the hireling may not make melee attacks. 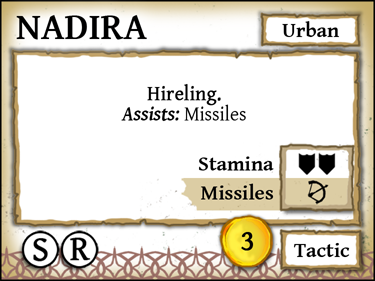 If no Missiles ranking is present, the hireling may not make missile attacks. If no Alertness ranking is present, the hireling may not feint. Hirelings may use the block, flee and move actions. They may not recover, and may not strain themselves voluntarily. Hirelings are slain when they take 1 or more damage. Remove slain hirelings from the play area. At the end of the battle, dispose all hirelings. New hirelings. I'm not sure what I'm going to do with all of them, but I think they will be fun to control. New opposition cards. Some of these are very tough, and might be job-stoppers. New terrain. I think I've only begun to explore what terrain can add to a battle, so these will be a little 'weird' until I figure out the best way to use them. Hands. I'm experimenting with drawing a hand of 5 career cards. You can play the cards in the order you choose. 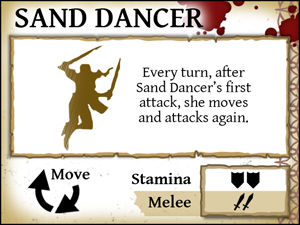 After conducting a battle, you may discard any cards from your hand and draw back up to 5 cards. Exceptions: Some encounters (now called Mishaps) and Revenge contracts cannot be discarded from your hand as long as you are eligible to run them, and you can't draw from the career deck as long as you are holding any Mishaps or Revenge contracts. 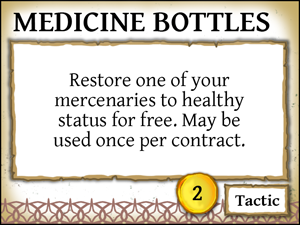 This means you're stuck with them until you play them, and you can't proceed with 'normal' encounters and contracts until you resolve your Mishaps and Revenge contracts. 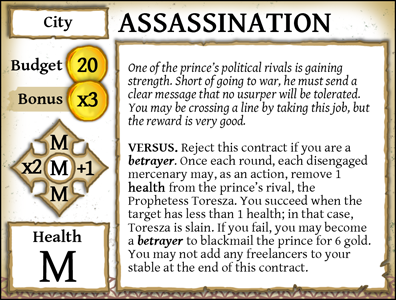 In two-player mode, you should be able to play Mishaps and Revenge contracts on your opponent, probably at the beginning of their turn. We'll see how that works out. ....are we ready to test it? Have i missed the update? Right now I'm using a "hand size" of 6 cards. 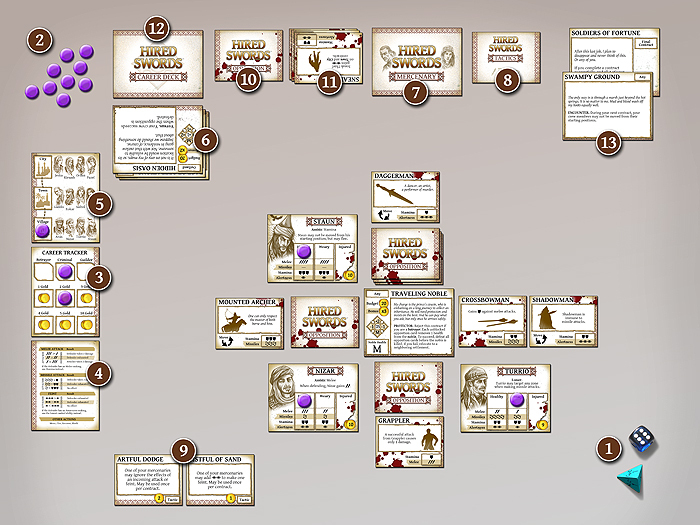 At the start of the game, you draw 6 cards from the career deck. 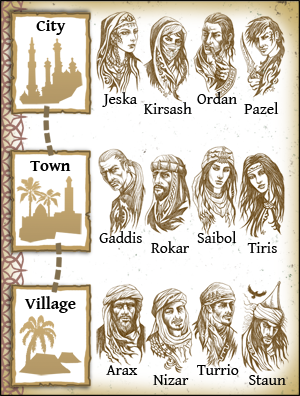 You can play them in any order, assuming you are in the proper settlement (Village, Town or City). 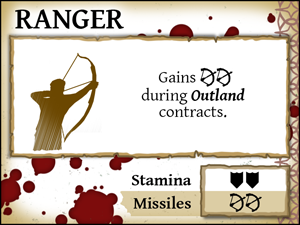 In multiplayer games, you'll be able to play mishaps and Revenge contracts on your opponents. I'm also thinking about some cooperative contracts. Revisiting the contracts, encounters and final contracts are my next big project. There are some good ideas in the current contracts, but I want to do more with them. 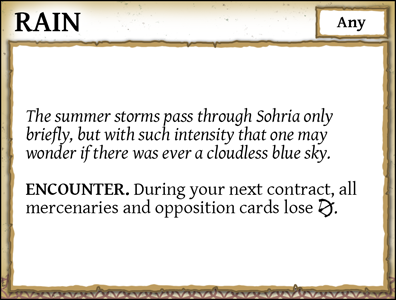 I might try this: certain contract cards will refer to more detailed contracts that you'll need to read out of a scenario book. 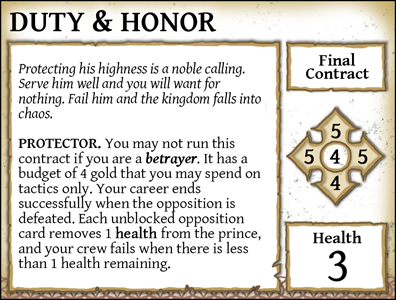 So a "deluxe" contract could have multiple episodes (example: a tomb with multiple chambers), or a unique way of deploying mercenaries, or whatever I can come up with.